Jesus of Galilee taught through stories, which even today contain the power to startle us out of our prejudices and preconceptions. 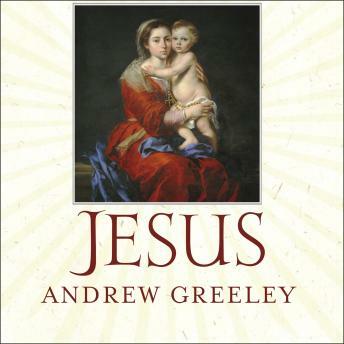 Now Father Andrew M. Greeley, one of America's most beloved storytellers, examines the parables told by Jesus in search of a fuller understanding of the man and his message. This engaging and informal collection of homilies reveals a Jesus whose simple parables carry profound lessons about the Kingdom of Heaven. Along the way, Father Greeley touches on such provocative topics as the significance of Jesus's Jewish roots, his deep and revolutionary relationship with women, The Da Vinci Code, and The Passion of the Christ. He also singles out the four greatest parables, which best illustrate the infinite love and mercy of the God whose kingdom began with Jesus and continues even today. As a storyteller, Jesus often surprised his listeners with unexpected twists that challenged them to see the world in a whole new light. Father Greeley's insightful tour of the Gospels provides a fresh look at the parables that strips away centuries of false and mistaken interpretations to get at the essential truth of who Jesus really was and what he believed.